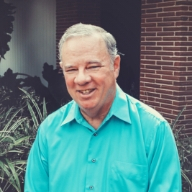 Allen Mosiman has served as the Pastor of Parkway Church since April 2005. A native of Indiana he has previously served churches in Kansas, Ohio, and Tennessee. His preaching style relies on story-telling. Allen provides both spiritual and administrative leadership for the church and has a passion for teaching. He is married to Anne who works as a Nurse Practitioner in a Family Practice clinic.